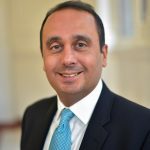 The Small Business Commissioner, Paul Uppal, has published a report into the supplier payment practices of Jordans & Ryvita Company Ltd following a complaint made by Magellan Design Ltd. The Office of the Small Business Commissioner’s investigation found that Jordans & Ryvita had not paid within agreed terms because employees had failed to adhere to correct procurement process and procedures. Invoices for the original work delivered by Magellan Design Ltd were in the region of £5,000 and the invoice for late payment interest was £1,400. Recommendations highlighted in the report were received positively and as a result Jordans & Ryvita have reviewed existing payment practices to ensure this is an isolated incident, whilst also making immediate payment for the outstanding invoice in addition to interest for the late payment. Paul Uppal said: “My investigation found there was an unnecessary financial pressure placed on Magellan Design Ltd due to the late payment practices exercised by Jordans & Ryvita. “With the intervention of my Office, we have successfully resolved the situation and released monies owed to the small business. Moreover, the investigation has encouraged Jordans & Ryvita to put preventative measures in place to ensure they consistently demonstrate fair payment practices. “My report makes a number of recommendations for medium and large sized businesses to help mitigate against the disproportionate effect that late payment has on small businesses”. In the last 12 months the Small Business Commissioner, has released £3.5m in late payments for small businesses and has engaged with hundreds of businesses across the UK, also attracting more than 50,000 visitors to the website. Andrew Osman, Managing Director, Magellan Design Ltd., said: “I would like to thank The Office of the Small Business Commissioner, for investigating our complaint. “With their help we were able to claim back the accrued interest on two of our invoices and settle the matter in an amicable way. The Finance Director of Jordans & Ryvita, has personally apologised to me and I understand that they are reviewing their payment practices. As far as I am concerned, the matter is closed. “The practice of late payments can be devastating to small businesses and I am extremely pleased that the Office of the Small Business Commissioner is committed to tackling this problem. I would like to thank Paul Uppal, for being a champion of fair payment practices for Britain’s 5.7 million small businesses”. Jordans & Ryvita CEO Paul Murphy commented: “As a business we manage over 22,000 payments annually. In this instance an invoice was not processed correctly as a result of human error. We deeply regret that this occurred and have apologised to Magellan Design. We implemented a ‘Purchase to Pay’ system in 2015 in order to ensure that invoices were paid on time and disputes minimised; in response to this incident we have re-trained colleagues on the correct procedures for raising and processing invoices under this system.